Matched up often with Flowers, Denver wide receiver Emmanuel Sanders racked up 10 catches on 11 targets for 135 yards. But the converted safety also led the Seahawks with eight tackles and broke up a pass as well. DENVER — Tre Flowers has confidence. That might not be a given, considering that the rookie cornerback was repeatedly roasted in his first career start. Matched up often with Flowers, Denver wide receiver Emmanuel Sanders racked up 10 catches on 11 targets for 135 yards with one touchdown and one somersault. 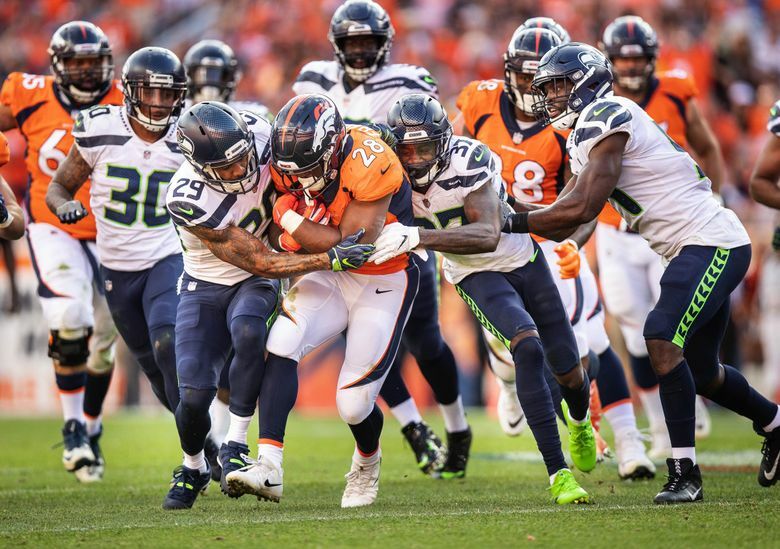 The highlight was Sanders’ 43-yard score, where he breezed by Flowers on a crossing route, stepped through tackle attempts and flipped head-over-heels into the end zone. It was an erratic first impression, but Flowers remains confident. Why? So let’s talk positives. In his NFL debut, the converted safety also led the Seahawks with eight tackles and broke up a pass as well. That’s after expected starter Dontae Johnson was placed on IR with a strained groin on Saturday. The Seahawk safeties made the most impactful plays on Sunday, as Bradley McDougald and Earl Thomas combined for three interceptions. There’s more to come, Flowers said.